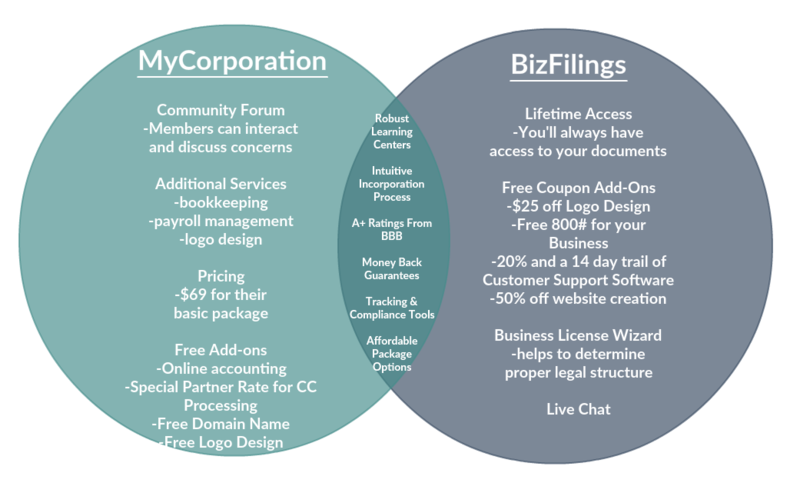 MYCORPORATION VS BizFilings Which Is Right For You? Picking a business formation service can be overwhelming, especially when you’re in unfamiliar territory with so many versatile companies to choose from. To make your search a little easier we’ve created a series of comparison reviews to help find the best option with the pricing, package options, and features you’re looking for. In this MyCorporation vs BizFilings comparison, we’re going to walk through their commonalities, important differences, and the rest of the details you care about. Both are great options for their own reasons, so let’s get this show on the road. Enjoy! 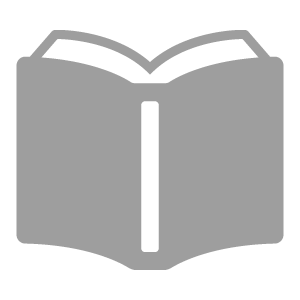 1) Learning Centers: Robust, stocked with loads of valuable info that you can visit and read through for free. This is super-resourceful if you are just starting out and don’t yet have a grasp on the legal mumbo-jumbo. 2) Intuitive Processes: Working with either is simple, their platforms/websites are relatively easy and initially only take few take minutes to get started. 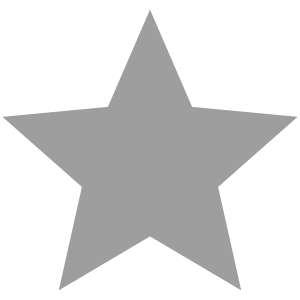 3) A+ ratings: Maintained on the Better Business Bureau for years. 4) Great Support: Both are highly-accessible in a variety of ways to get questions answered and concerns addressed. 5) Guarantees: Not all companies have money back guarantees, so it’s really great to see both of these incorporators so committed to customer satisfaction! 6) Tracking Tools: Easy to use, to keep an eye on your filing/incorporation process every step of the way. 7) Affordable Packages: Filled with tons of useful features to help you in your journey towards establishing your business then managing the paperwork over time. 8) Compliance Tools: Bizfilings uses BizComply and my Corporation has MaintainMyBiz, both of which will keep you up to date on all requirements. As you can see, these two in particular have a fair amount in common. But there are some distinctive differences between those two worth taking special note of. To highlight these, we’ve created this neat graphic. What do you think? The pricing of their package options is important to note, along with the extras like lifetime access, community forums for questions, add-ons like logo design, or Live Chat. Maybe you don’t need an 800 number, or perhaps you’re especially interested in getting a domain name or a license wizard would be helpful? That being said, let’s get to the pricing and features. Customer reviews these days are the first line of communication between current and prospective customers. And with these reviews, sometimes feedback can be really good, or really, really bad. We’ve seen a little bit of everything during the course of putting together our comparison reviews. Because these companies are all coming from different histories, their reviews are going to differ. Some companies, like LegalZoom have thousands of reviews while others have little to none despite being in business for a years. Here’s the gist for these two. 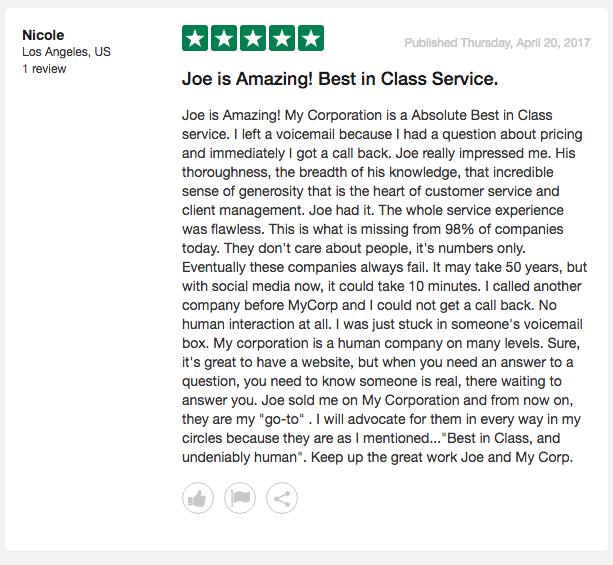 MyCorporation sits somewhere in the middle of the spectrum of customer reviews in this industry. They’ve got about 180 reviews on TrustPilot, most of which are very positive. We’ve included the most recent couple to give you an idea of what customers are saying. From our research, it seemed that reviewers for BizFilings services either had a really great experience, or a really poor one. Overall though, both of these have received the stamp of approval from Better Business Bureau, so you can take comfort in the fact that both companies have fared very well under their strict criteria. These two companies feature the same packaging setup as most within the industry. 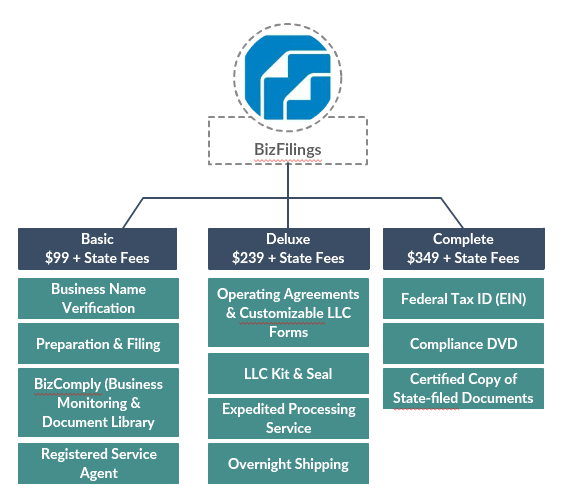 BizFilings has three main packages, and MyCorporation offers four. Looking first at Bizfilings, one of the standout features that remains across all packages is their BizComply business monitoring tool. 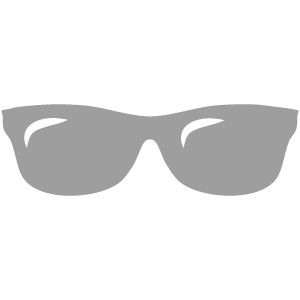 While MyCorporation does offer a similar business monitoring and compliance watch tool, they only include it in their premium package. You can elect to add it into any of their other packages, but it’s an extra $250 for that service specifically. So, if that’s a big ticket item for you consider looking into BizFilings for your formation documents. Looking at MyCorporation, there’s a few areas where their pricing scale differs. Firstly, their base package is $69 in comparison to BizFilings $99 Basic package, so if you’re just looking for a name check and business formation, these guys will save you $30. On the flip-side, if you’re looking for a more long-term service there’s other opportunities to save. 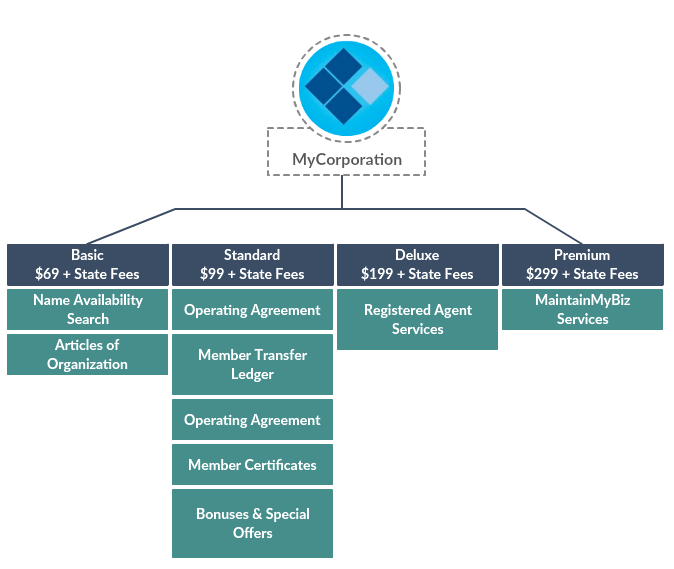 MyCorporation’s included services can look a little bare-boned in comparison to Bizfilings, but that doesn’t take into consideration the number of available add-on services. For example, if you’re really interested in receiving your EIN you can either pay for BizFilings’ complete package (or add on the service for $79) or your can add the same service for $69 to any of MyCorporation’s package. To put this in numerical terms, you can expect to save anywhere from $40 to $211. Here’s another nifty graphic we put together to help spell out how they approach packaging and differentiate their packages. The vast majority of our readers opt for either the Deluxe or Premium, but perhaps Standard with the compliance wizard would be better? It’s up to you. There’s several more examples of these sort of price differences, which is why we recommend you organize a list of services you’d like from an online formation company while researching. If you look carefully, you can find ways to get more bang for your buck. Overall, both companies offer serious value and we really believe you should always go with the service that suits your own needs. 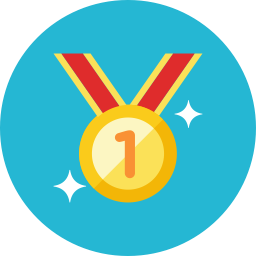 But, at the end of the day, MyCorporation comes out on top. They offer similar (yet flexible) services for about $30 less than BizFilings. 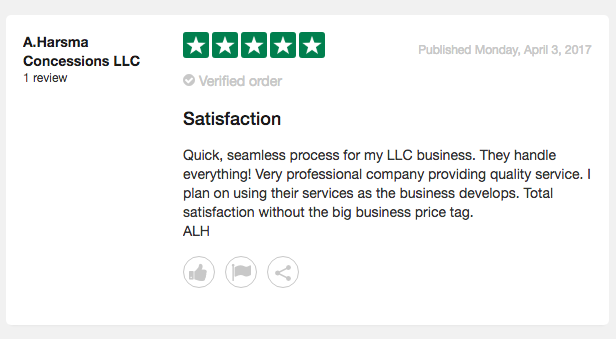 In addition, they have great reviews on TrustPilot. Click either one of the links below to visit their websites and get started today. Cheers!